Rogers Spring Hill Farm is a 4th generation family farm located in the Ward Hill section of Bradford MA, just minutes from I-495. Randolf Rogers began the farm’s legacy in 1902 with the purchase of just 2.5 acres of land, one horse and one cow. Since then the farm has expanded greatly and today offers pick your own apples, pumpkins and strawberries. 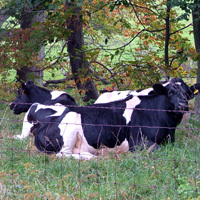 Tours of Rogers Spring Hill Farm run from mid September through the end of October. 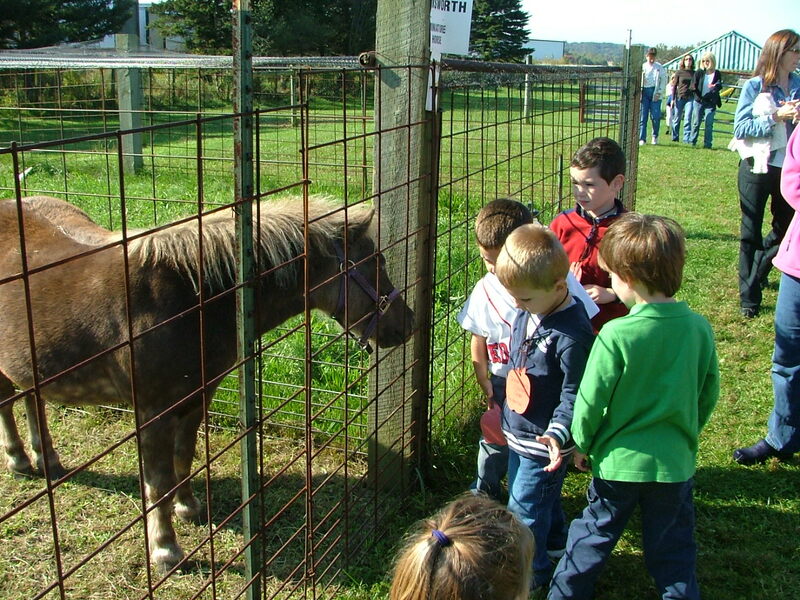 Three standard farm tours are offered, but these can be customized to meet your class and curriculum requirements. 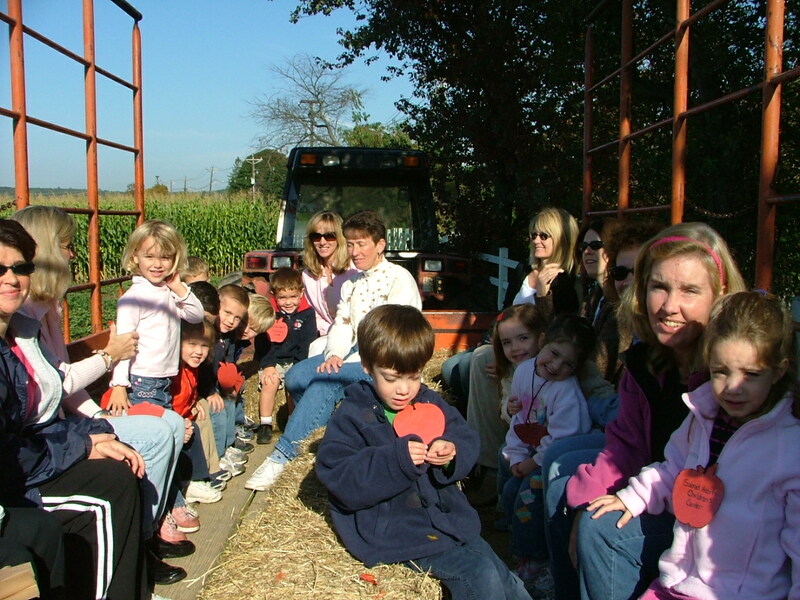 Our traditional field trip includes a tractor drawn hay filled wagon ride through our fields to the Pumpkin Patch or Apple Orchard. 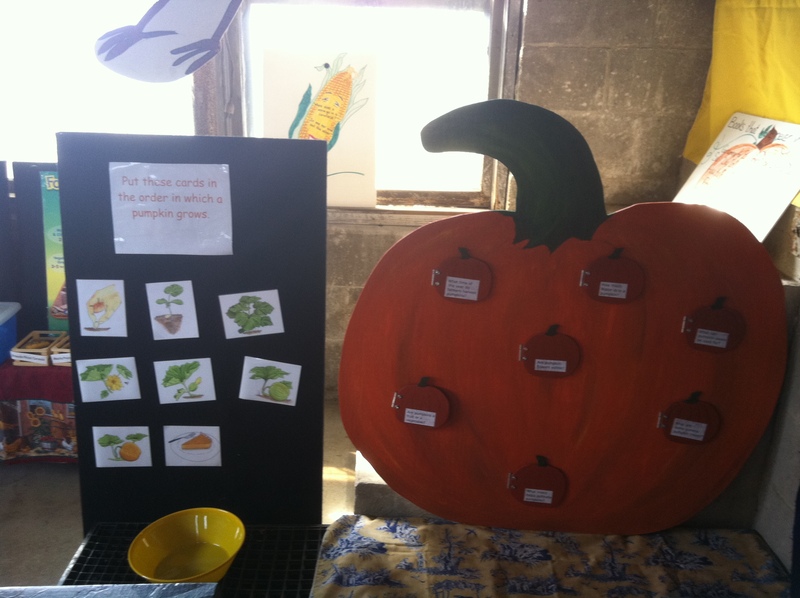 There will be a lesson on how pumpkins, and/or apples, develop and grow. 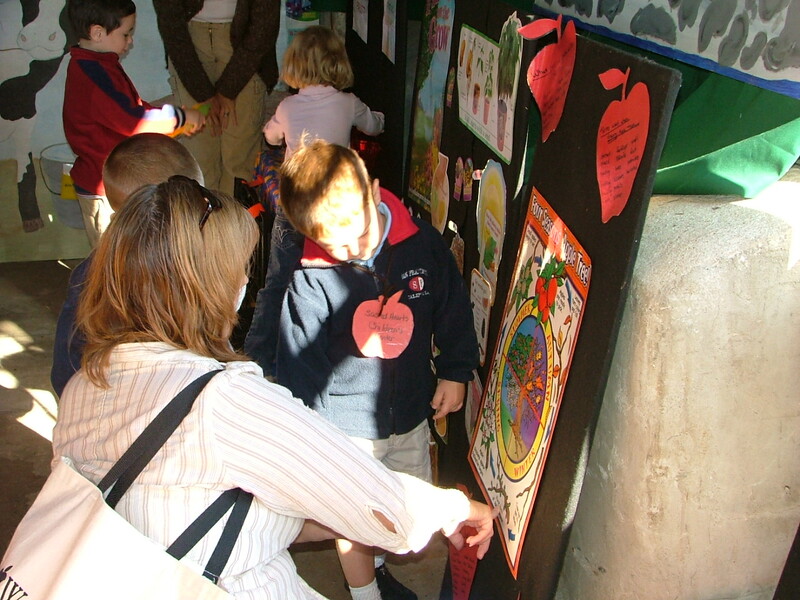 Each child will select his/her own pumpkin from the vine or fill a bag with delicious apples from the trees. We will finish the tour with snacks, a visit to the petting area, and playground time. Cost: $6.00. Time allotment: One hour. Click here to email Barbara Rogers Scharneck for registration and details. Did you ever stop to wonder how a cookie becomes a cookie? We will answer questions much like this, and more. Students will explore and investigate the origins of many products in their daily lives. 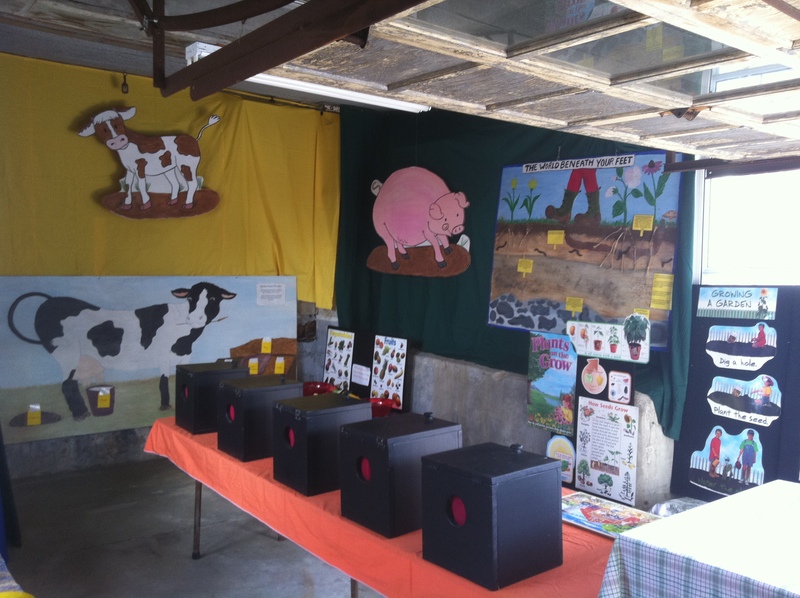 There are many activities show the children how important our farms are to our daily lives including the interactive barn activity area. 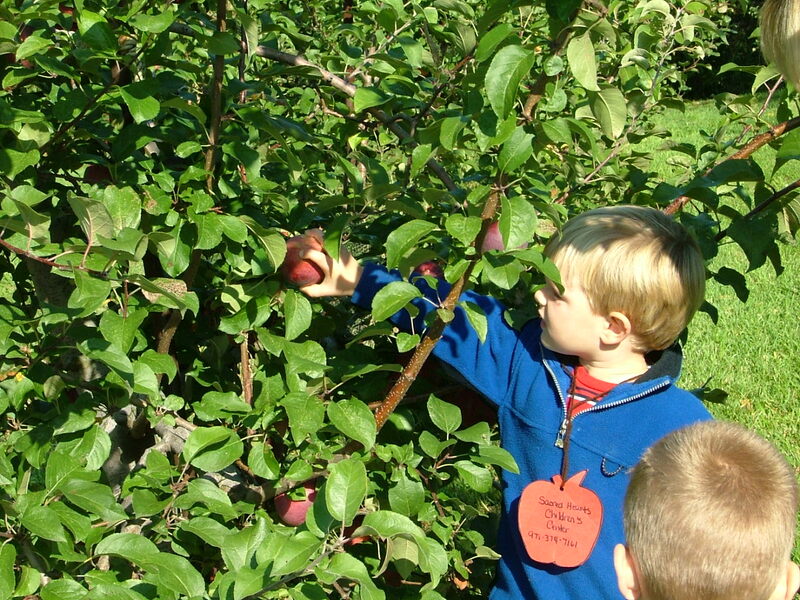 This farm tour includes a tractor drawn wagon ride through the fields to the apple orchard or pumpkin patch. The tour will conclude with a visit to the petting area, snack, and playground time. Cost: $9.00. Time allotment: One hour. Click here to email Barbara Rogers Scharneck for registration and details. 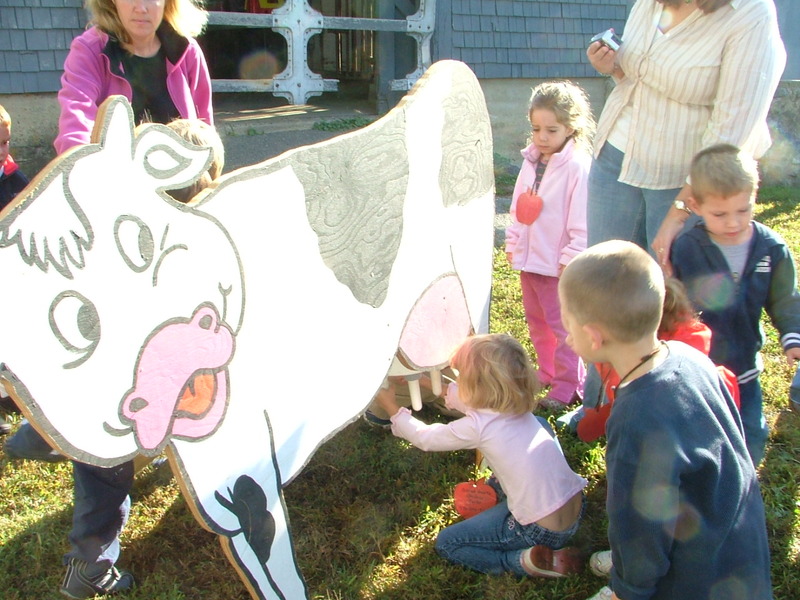 “The Harvest” Tour can be combined with the “The Barnyard” Tour for a complete educational experience about the importance of farms in our country today. Cost: $15.50. Time allotment: Two hours. Click here to email Barbara Rogers Scharneck for registration and details. Tours run from early September through the month of October. Please arrive promptly as we book our tours accordingly. A wagon ride through our fields gives the children a sense of the scope of farming and how it relates to the backyard garden. Fees: Tours range from $6 – $15, with a $100.00 per tour min. Chaperones: All size groups welcome. We recommend one chaperone for every eight students at no additional charge. The cost per chaperone over and above is the same as a student, unless the chaperone chooses not to ride. 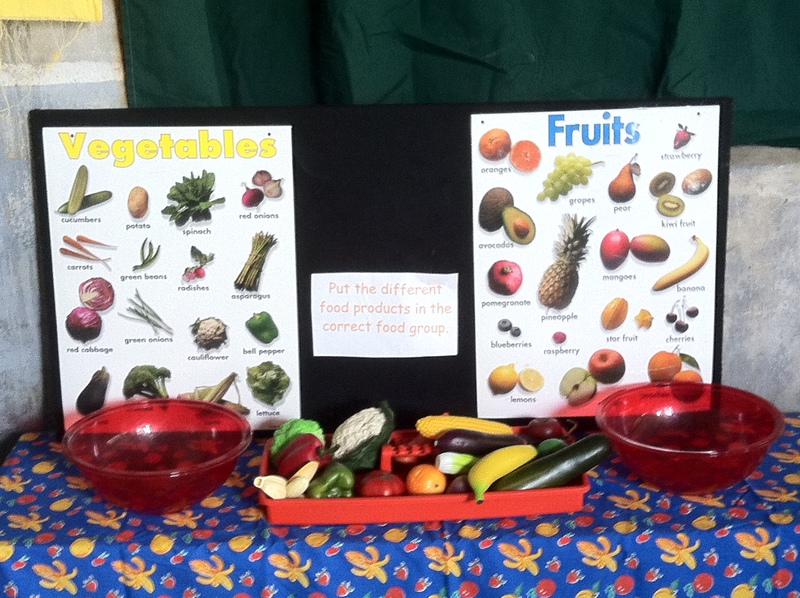 Picnic Area: We have a wonderful picnic area for you and your class to enjoy. You may bring a picnic lunch. Play Area: We have a large enclosed field for the children to enjoy running and playing ball. We also have a play scape area and a ball toss game. Parking: Parking is located at 133 Neck Road. You may park in the driveway located to the right of the barn. Weather: If there is inclement weather, the tour will be held at the Farm’s discretion. Package Additions: You may choose to add a small pumpkin to your tour for an additional charge of $3.00, if they are not already included in your tour package. Book one of our “Farm-tastic” tours today! Click here to email Barbara Rogers Scharneck for registration and details.